* Mounts to standard EIA 19" racks. * Supplied with termination tool and cable ties. 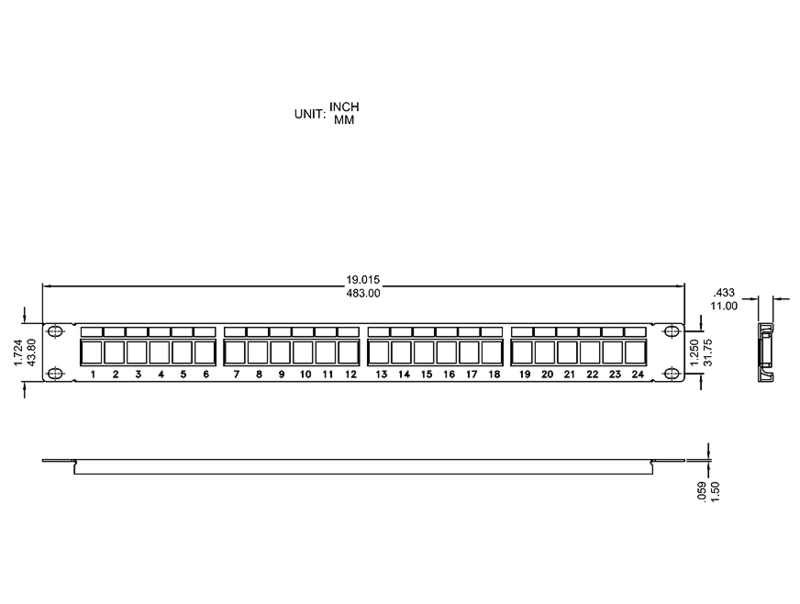 design (24 ports). Meet ELA-310-D specifications. * Apply UL-94V high-impact, fire-retardant ABS material. 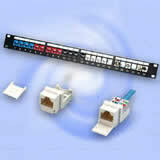 * A pair punch sequence enables a pair twist within 1/2" of termination. * Take 22~26 AWG wires. * FCC Part 68. UL certified. * DC resistance: max 0.1..